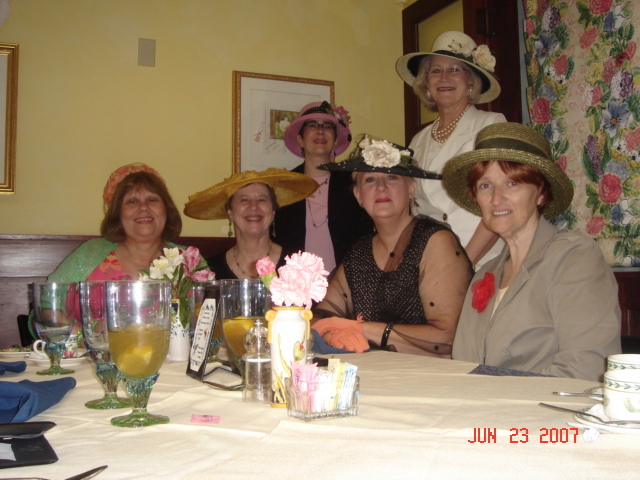 NOTE: Because this is a free website, ads appear at the top of our page. 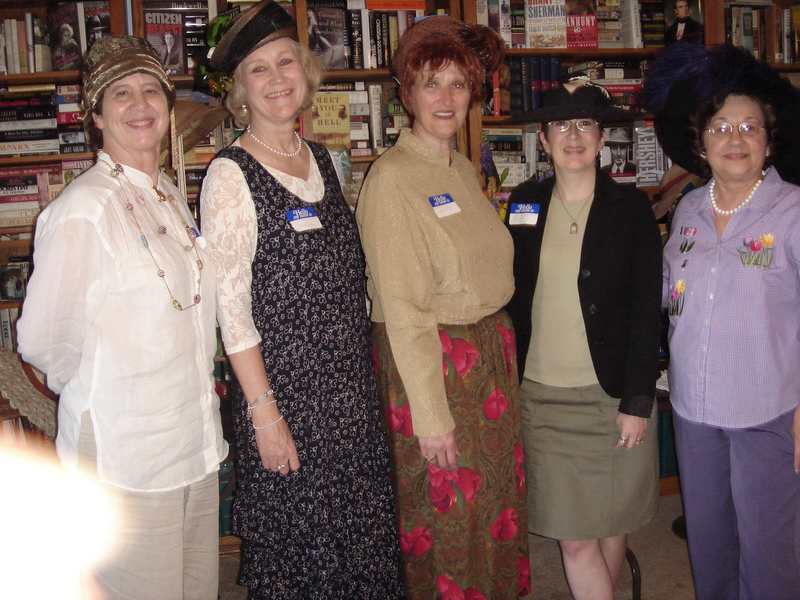 We do not endorse any of these websites, nor do we have knowledge of them. 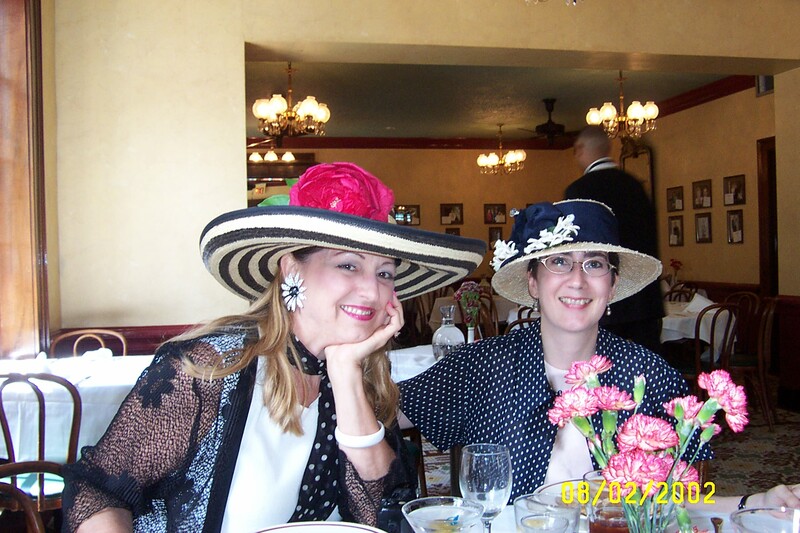 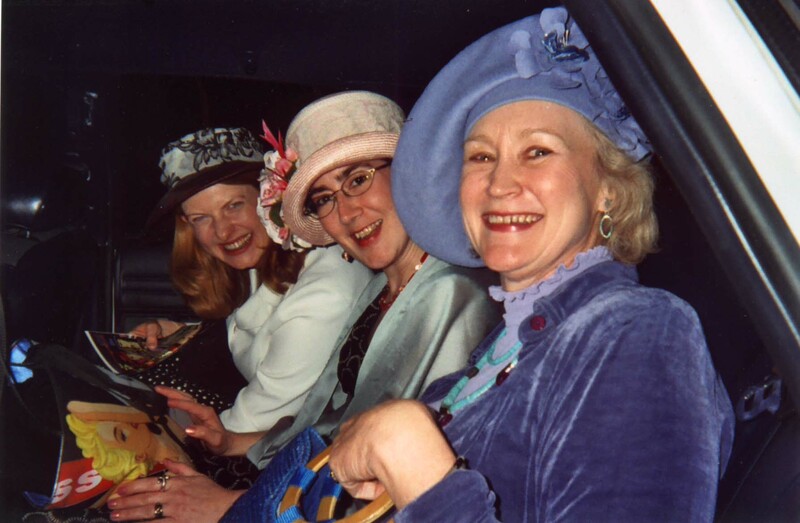 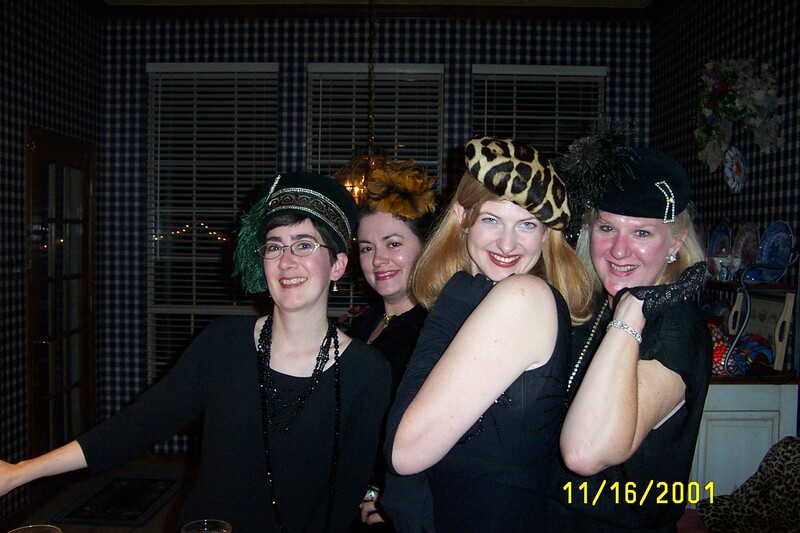 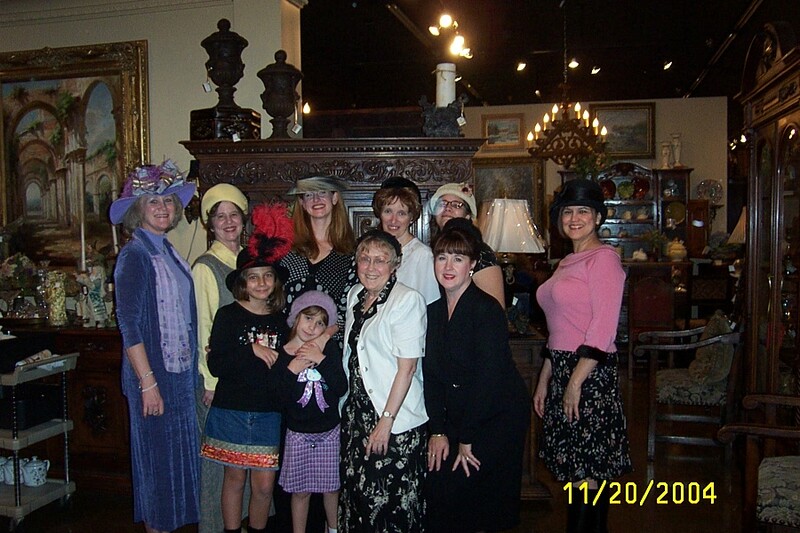 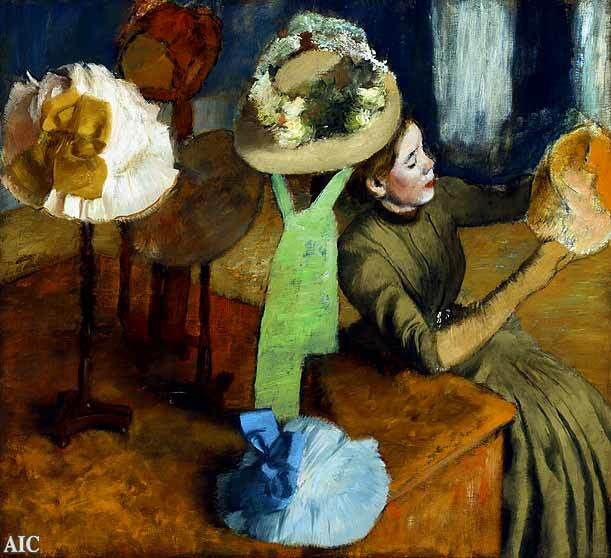 We are an informal group of women who have come together with a love of hats. 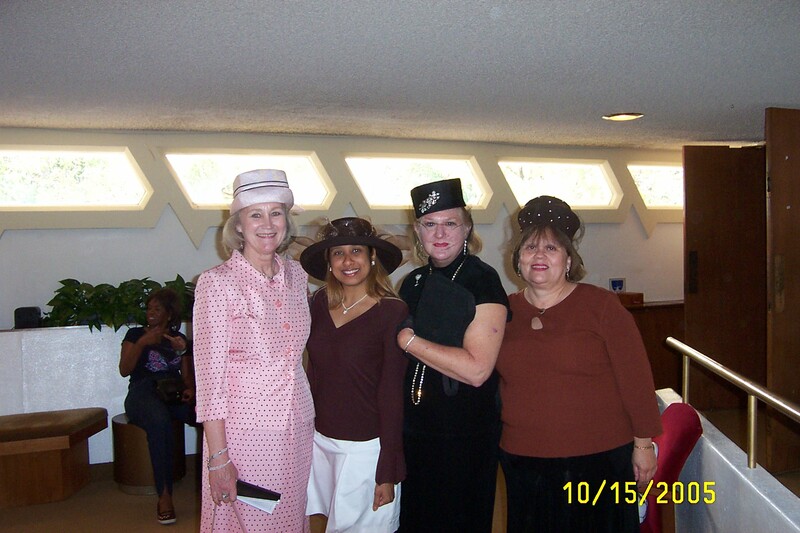 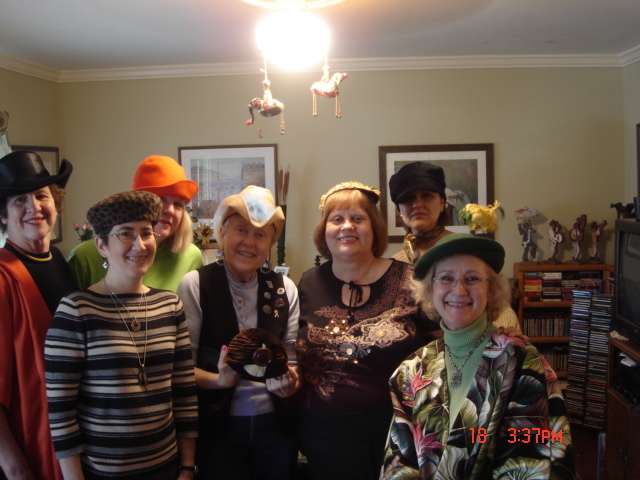 We meet monthly to wear hats, promote hat wearing, and to learn more about hats, and to have FUN! 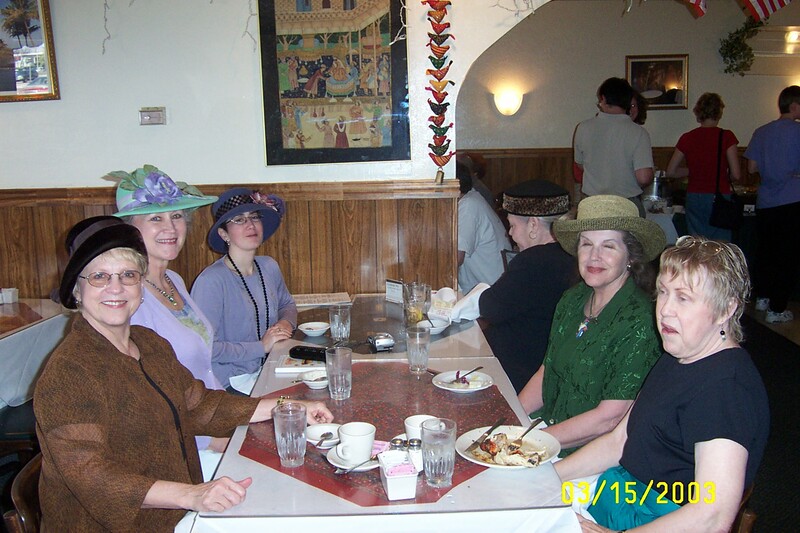 Our group is diverse, some of us make hats, some especially love vintage hats and we like having a reason to wear a hat. 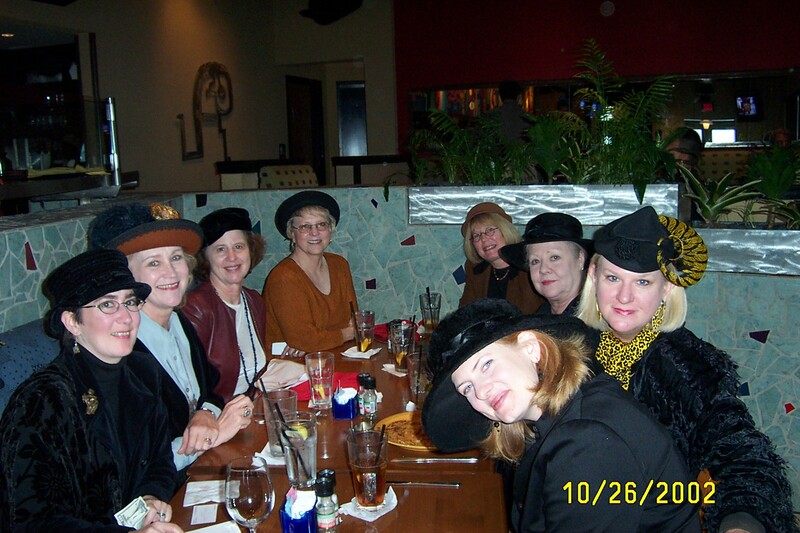 The Dallas Hat Band has no dues, by-laws or officers and is open to anyone with a love for hats. 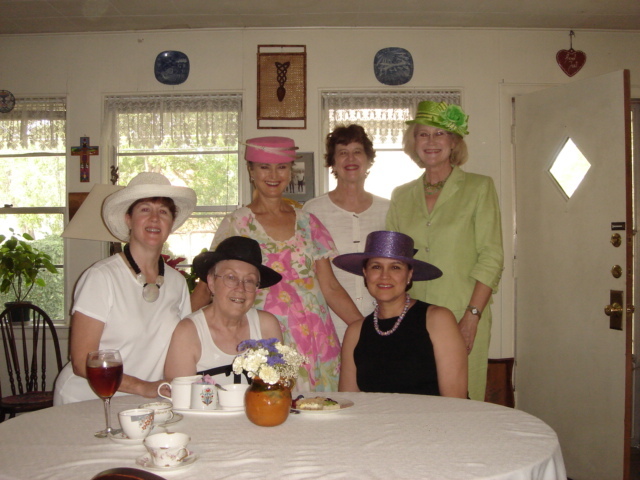 The Hat Band was founded by Evelyn Barker. 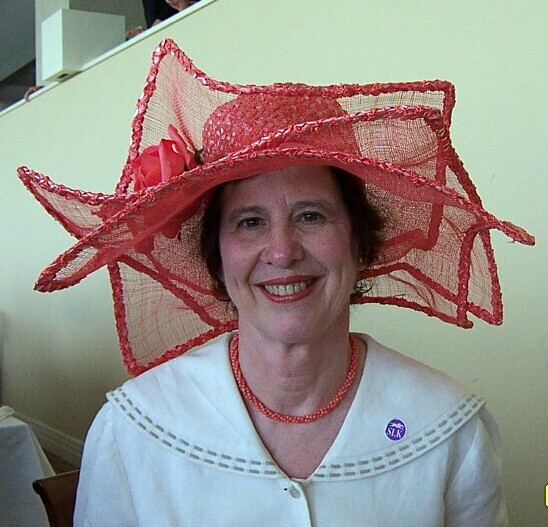 The current leader is Suzanne Larsen. 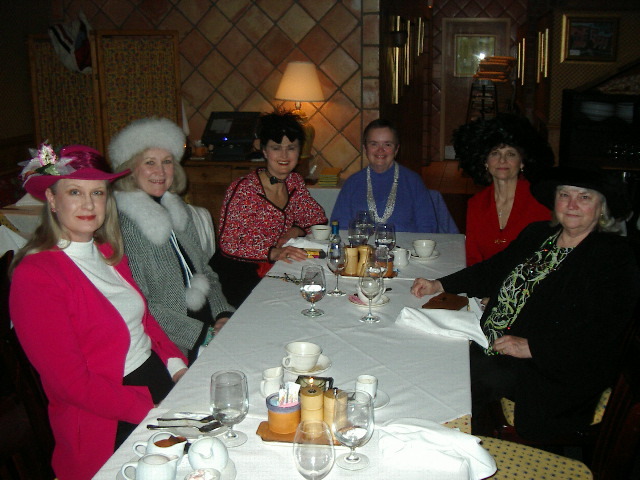 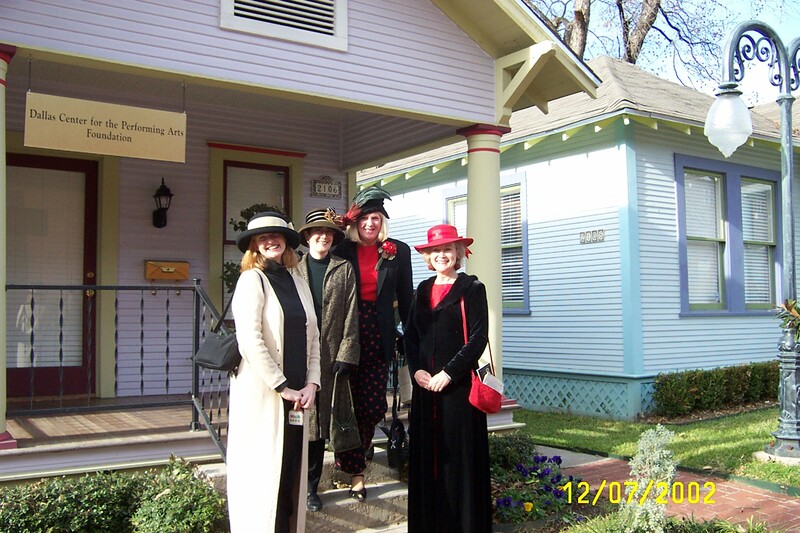 There are sister hat groups, the Houston Hat Net (Kate Pernia and Gayle Robertson) and The Hat Society in Austin (Kay Killen). 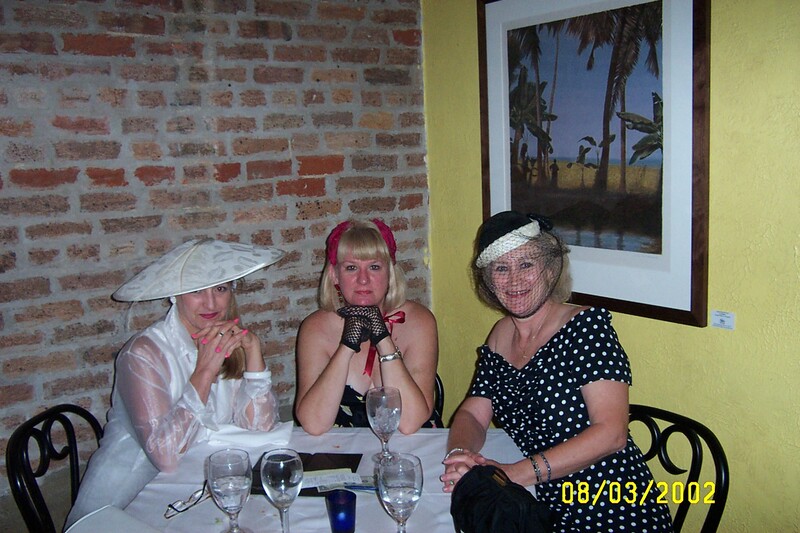 We have had joint meetings in Houston, Dallas, and New Orleans. 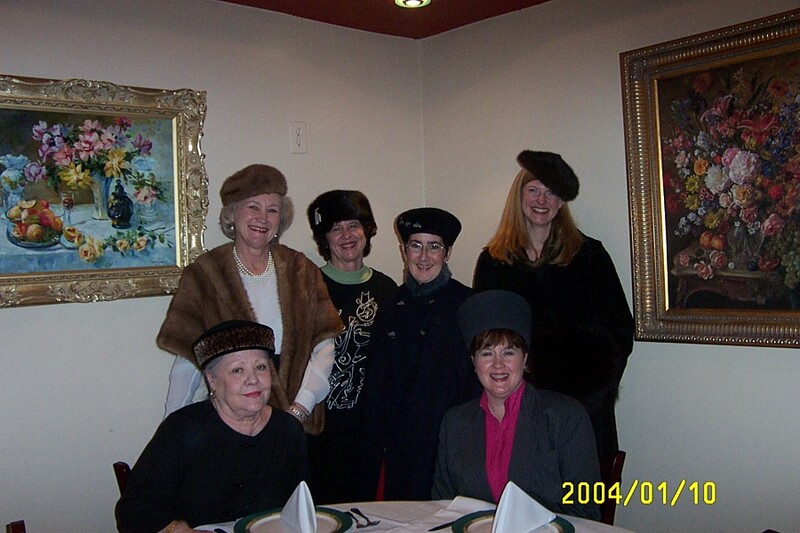 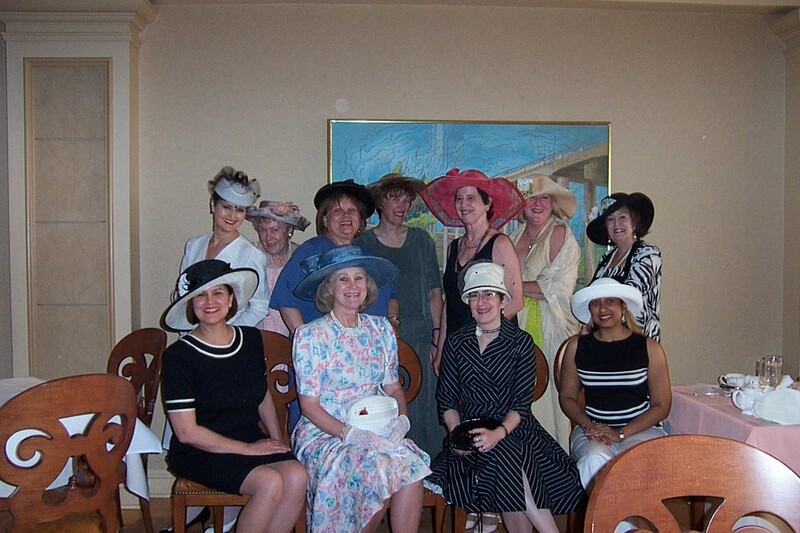 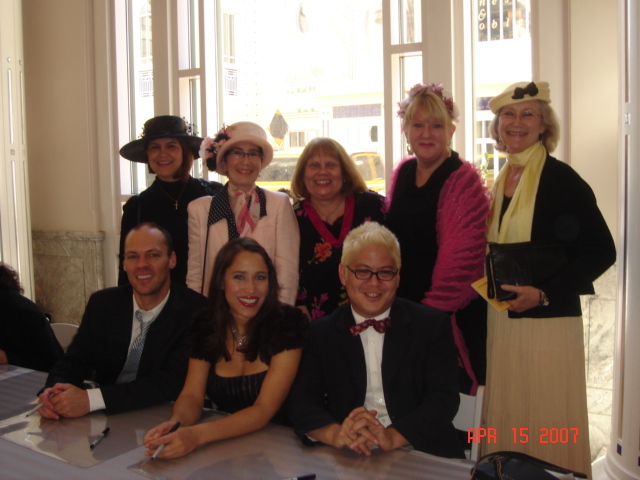 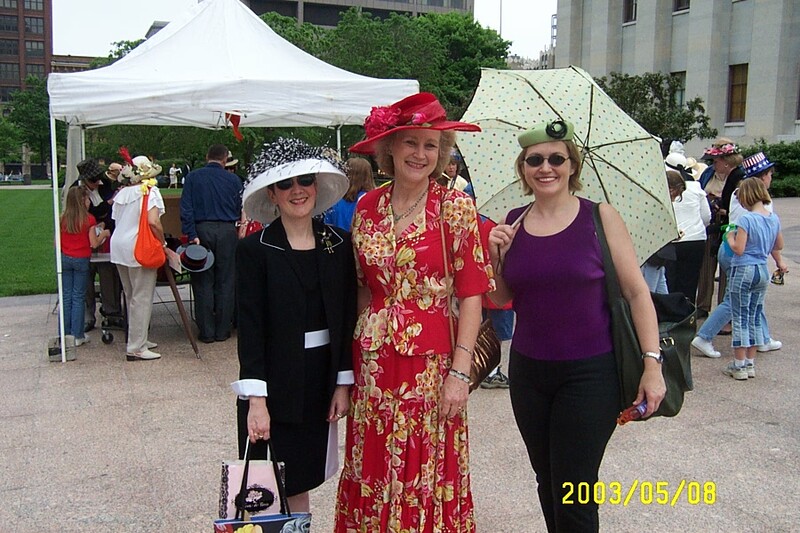 Several of us went to Columbus, Ohio in May of 2003 for the Hat Celebration. 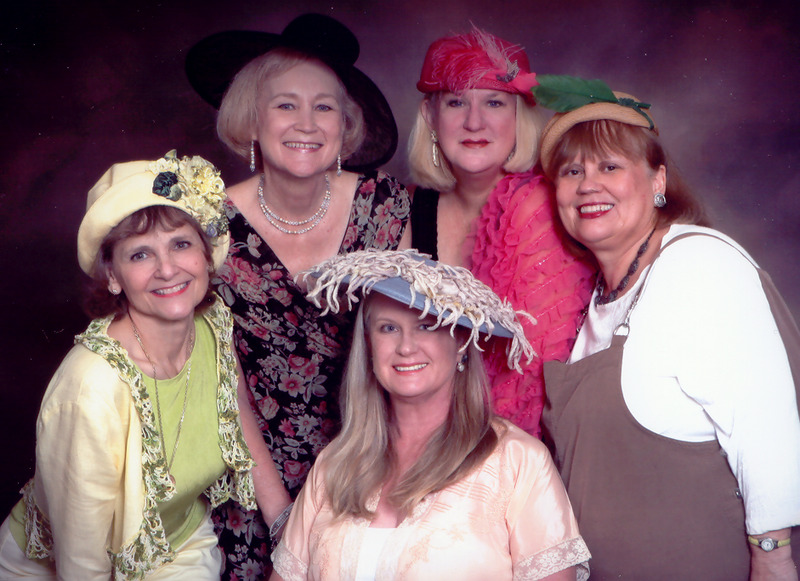 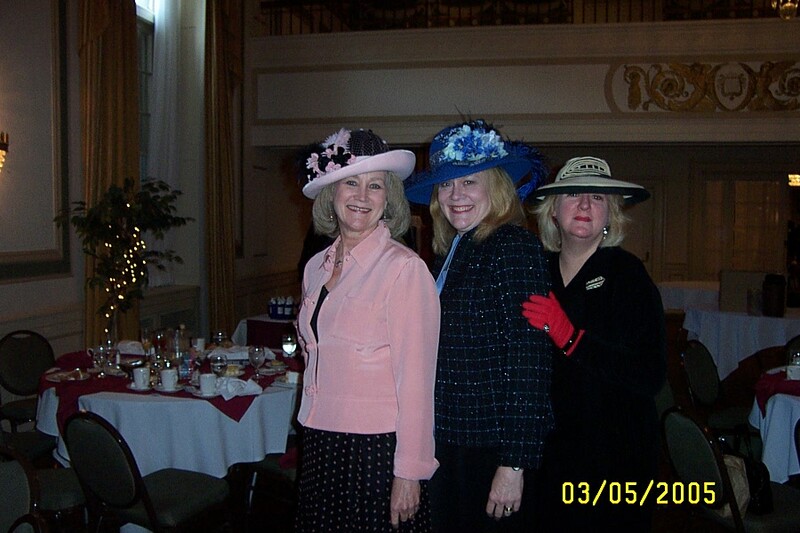 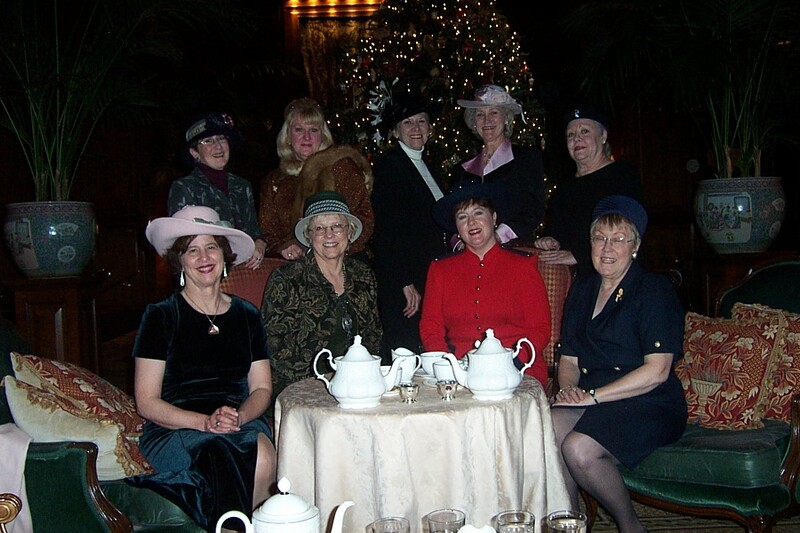 The Houston Hat Net has made several trips to Dallas to attend the Victorian Elegance show with us. 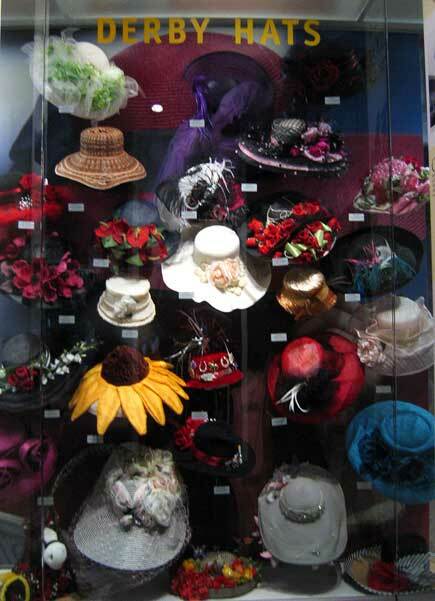 Three Hat Band members, Laurel Johnson, Nicole LeBlanc and Suzanne Larsen, have hats which were on display at the Kentucky Derby Museum in Louisville through June 2005. 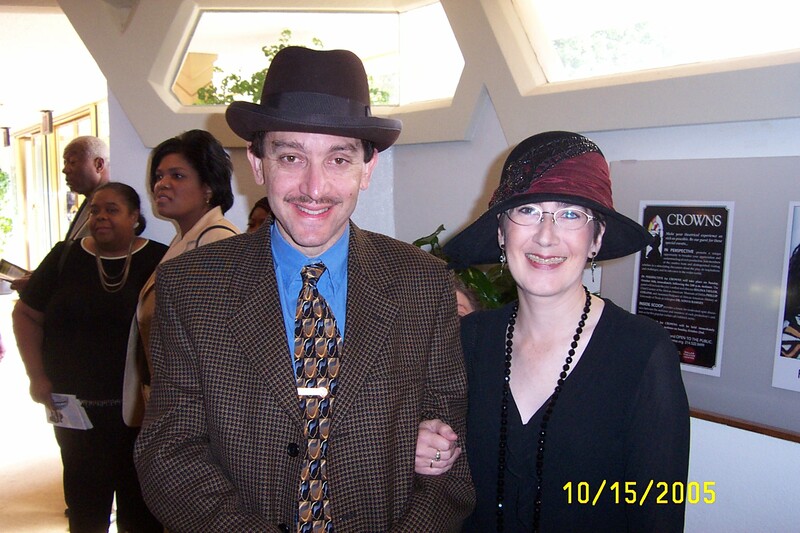 See photo below. 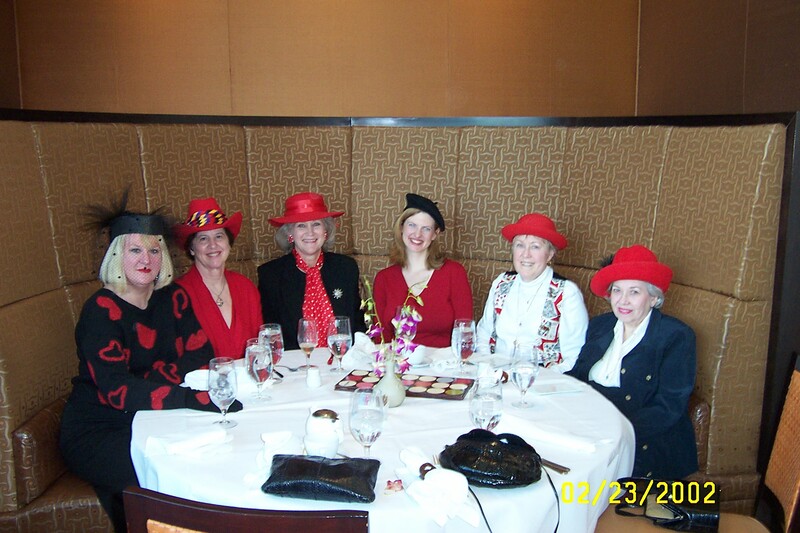 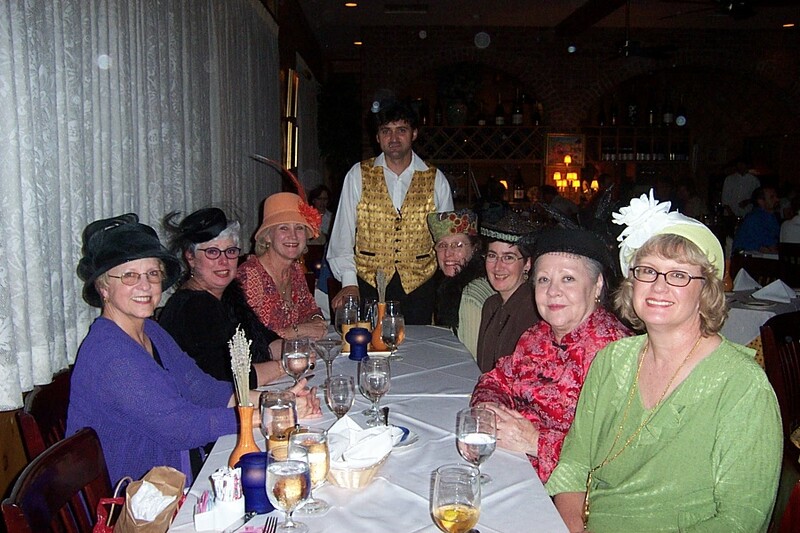 The Hat Band met jointly with the Hat Ladies in Charleston, SC in March 2005. 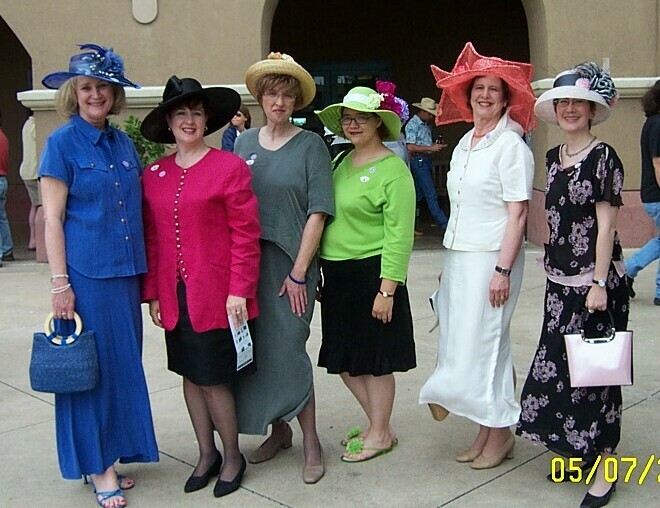 Our May 2005 meeting was at Lone Star Park on Kentucky Derby Day. 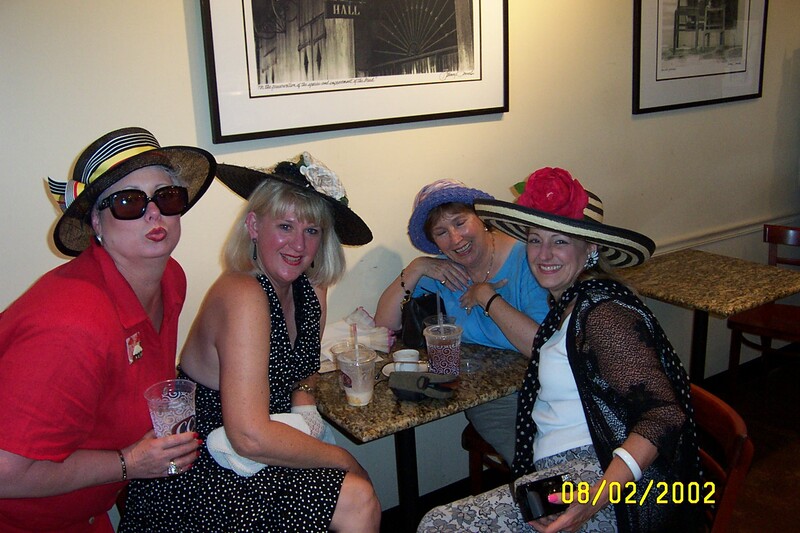 We all entered the hat contest. 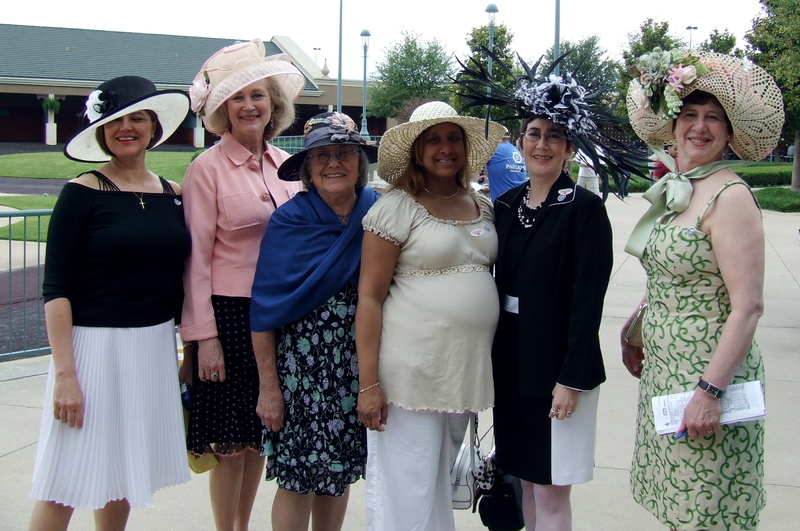 There were a lot of goofy hats and we are so pleased that our member, Laurel Johnson, won first prize ($500) wearing her own hat creation. 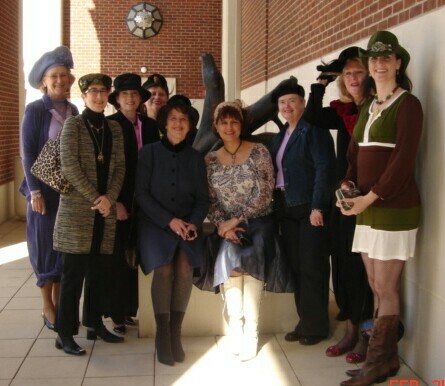 See photo below. 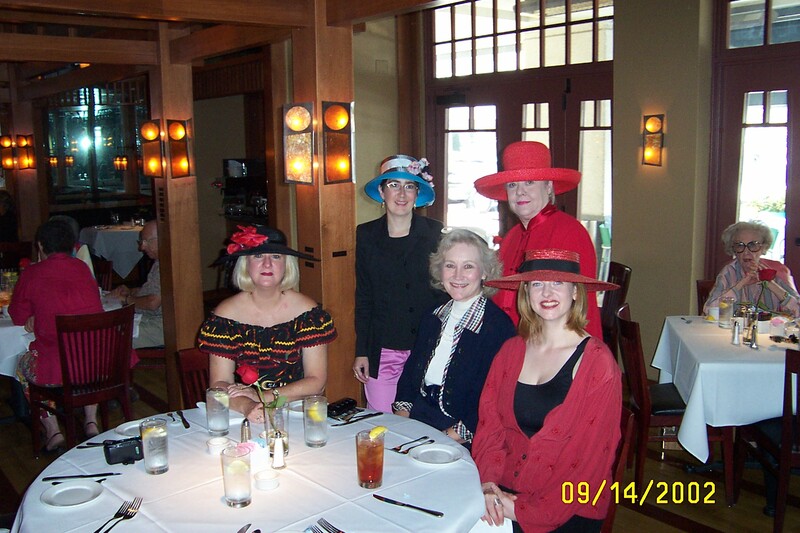 On our second annual Kentucky Derby Day, as a group, the Hat Band won second place in the hat contest. 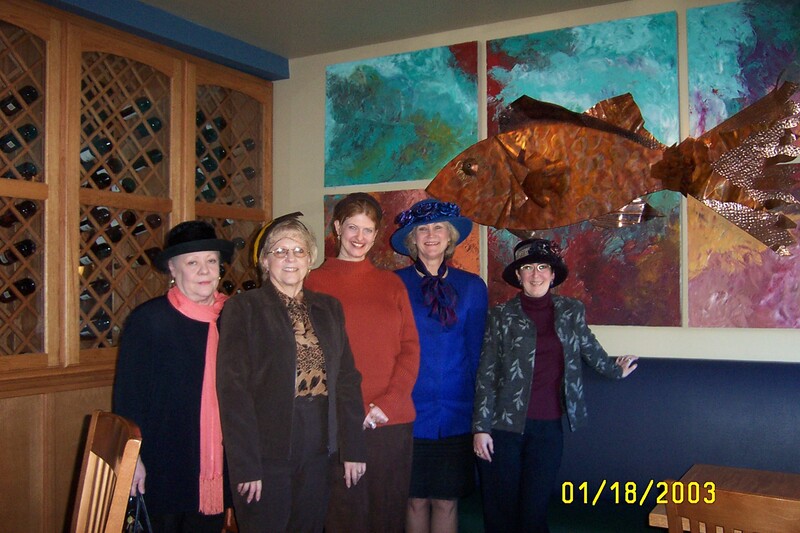 Participants were Laurel Johnson, Nicole LeBlanc, Margarita Koye and Suzanne Larsen. 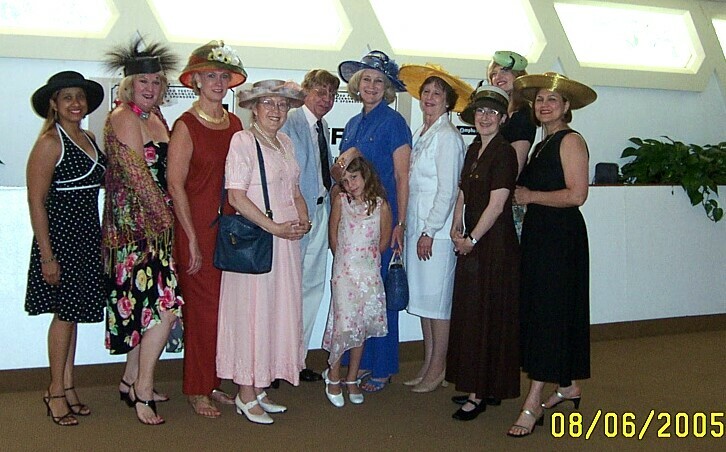 See group photo below. 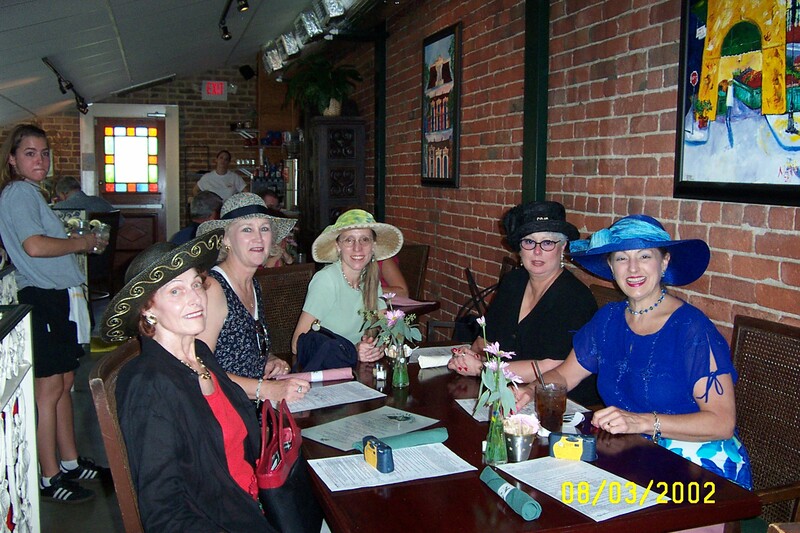 April 24, 2009 Cocktails at Fedora Lounge and Grill, 5:30 p.m.
May 9, 2009 Swiss Avenue Historic Home Tour and Salad Luncheon, 11:30a.m. 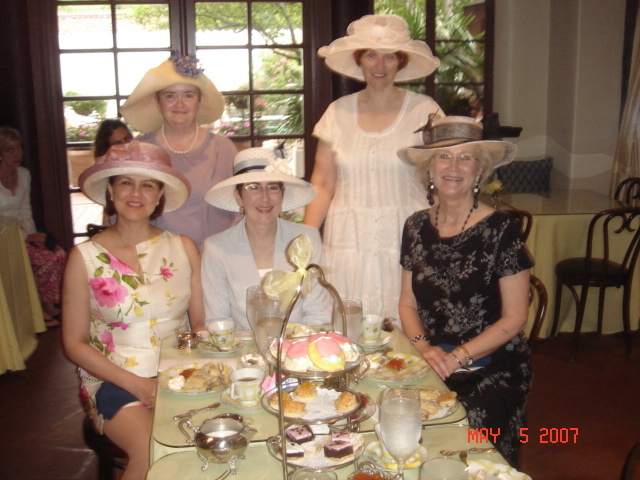 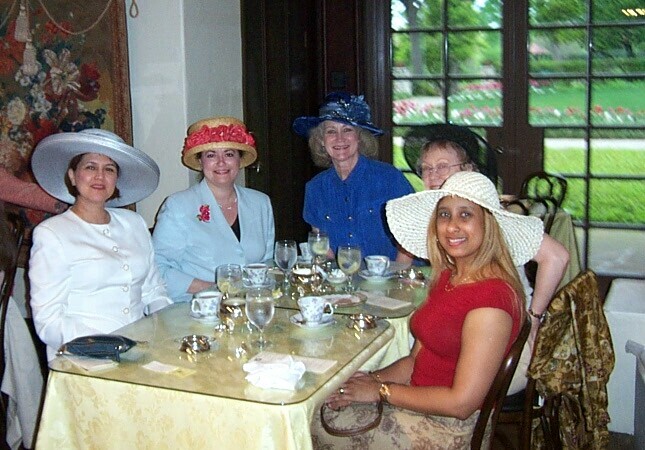 June 2005 Tea at the Ashton Hotel in Fort Worth, . 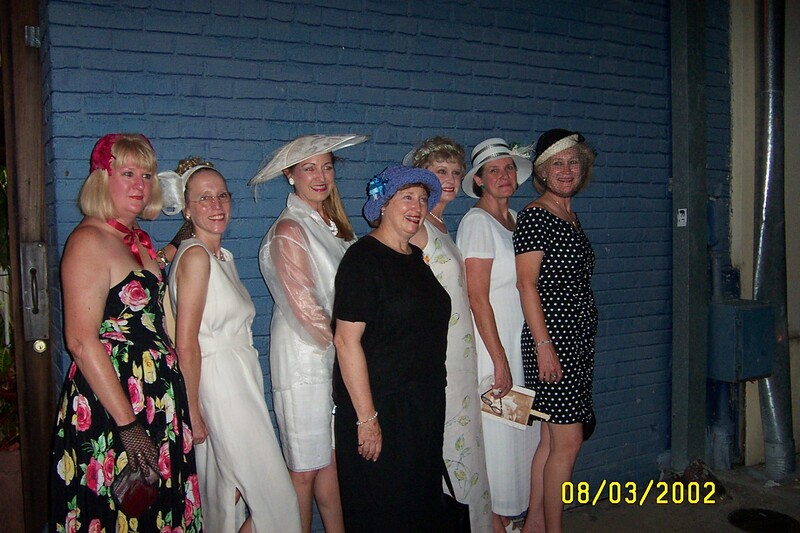 Standing: Maureen, Ruth, Loretta, Kelley, Laurel, Benita and Marilyn. 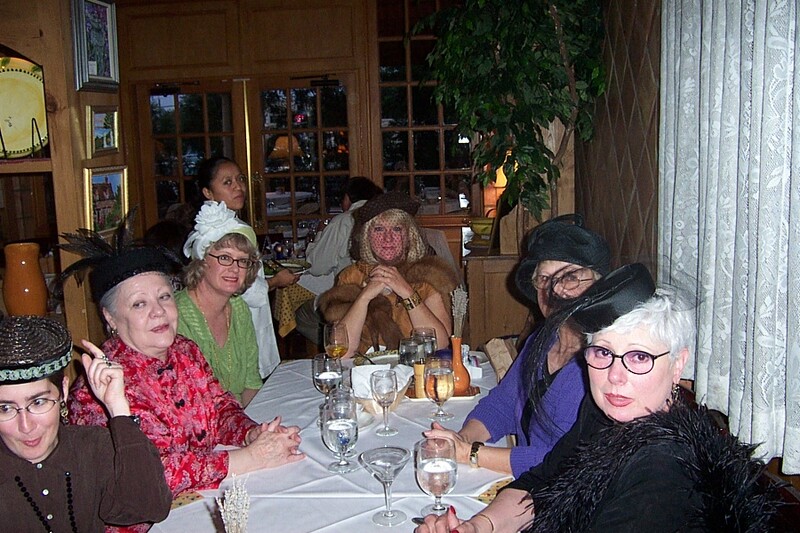 Seated: Margarita, Suzanne, Nicole and Irene.